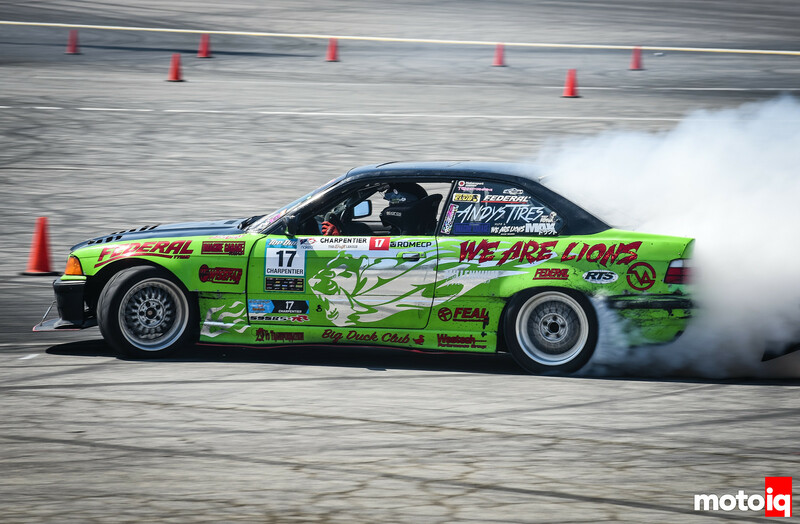 Just in case you’ve been living in a cave, MotoIQ has ventured into the drift world with a new competitive, ProAm series called The Drift League (TDL). TDL’s inaugural year is set to have four rounds of competition that will all take place at Irwindale Speedway. At the end of the season, the top three drivers will earn their Formula DRIFT PRO2 licenses and will be eligible to compete in FD next year. 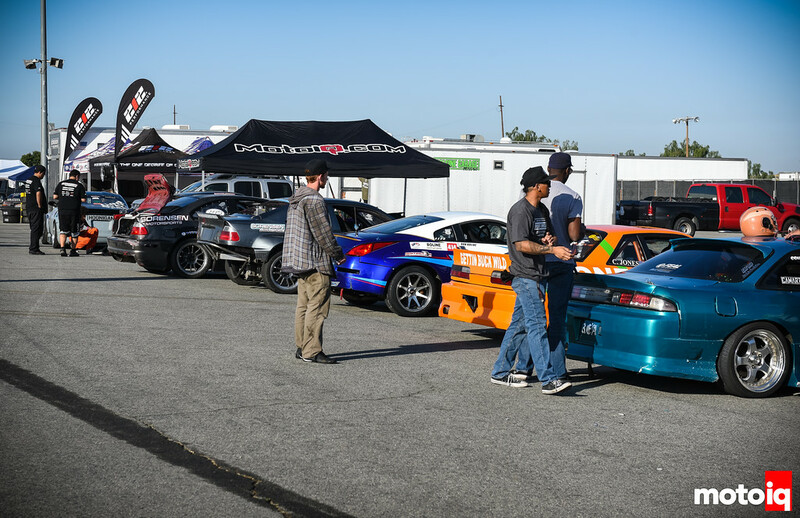 The first round of competition took place on June 1, 2018 with a total of 23 drivers who showed up ready to compete. The morning started off with a rigorous tech inspection. MotoIQ freelancer, Nikita Rushmanov assisted us with the official tech inspection since our Tech Director, Mike Kojima was out of town for FD New Jersey. MotoIQ hosted an official Tech Day at the MotoIQ HQ a few weeks prior to TDL Round 1 to ensure that drivers had their vehicles ready for Round 1 of TDL. Although many of the drivers didn’t pass tech initially, they worked hard to get their cars ready. An overwhelming majority of the vehicles passed on competition day. The morning started off with the competitors practicing the new course layout. Here is Rome Charpentier in his E36. 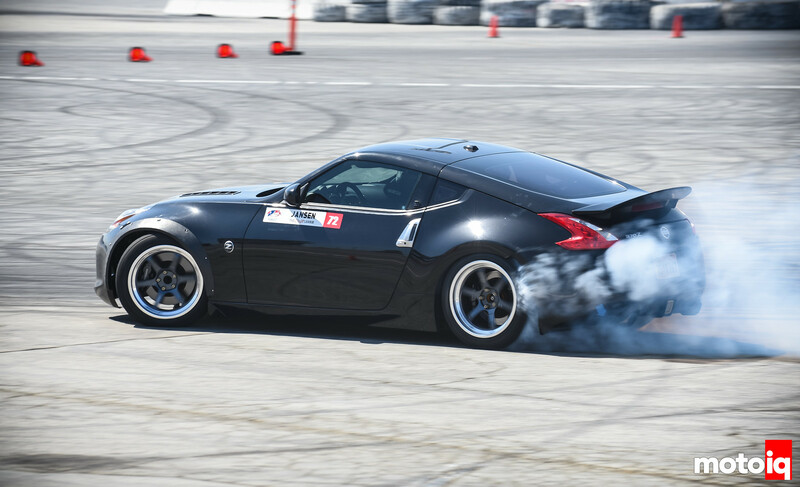 Joseph Jansen takes a lap in his 370z. 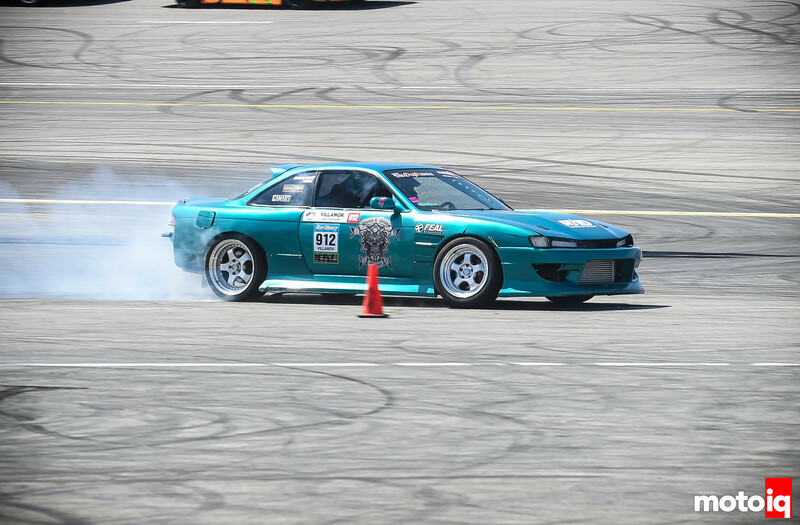 Meliton Villamor in his 2J-powered s14 takes on the course in great style. How do I apply for TDL?